Home > News > Ginza! 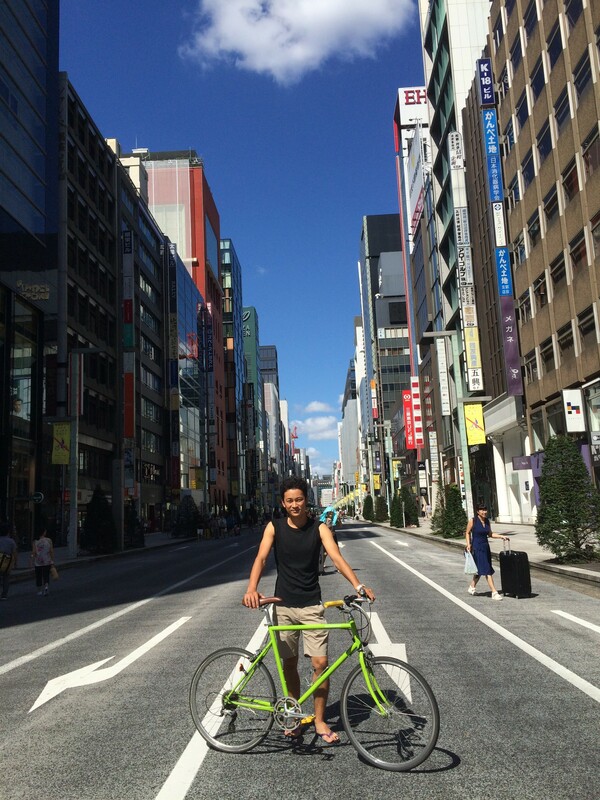 Have you ever heard about Ginza before? or the most fancy town in Asia. There are so many famous brand name goods shops along the street. Every weekends, central street id closed for cars and bikes. Only pedestrian are allow to walk through. This is kind of cool right? They put some chairs and tables on the street so you can have a seat and hanging around at the center of the street of Ginza. and there are some old and charming cafes along the street if you want to take a rest inside of building. Can not bike through here. but Can walk through here with bike!